These days, I've been busy with various things, one of which you'll see very soon. I'm cooking something up! 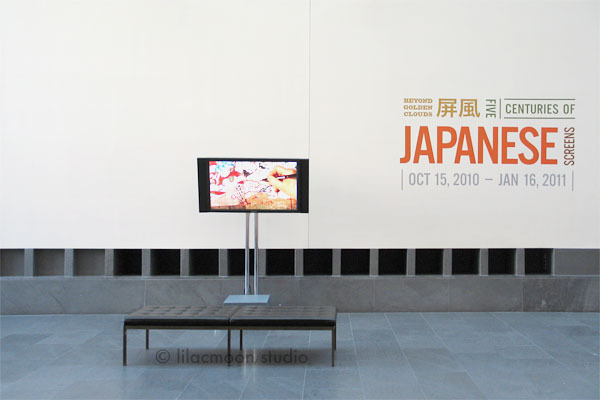 In the meantime, I would like to share with you an exhibit I saw at Asian Art Museum here in San Francisco. 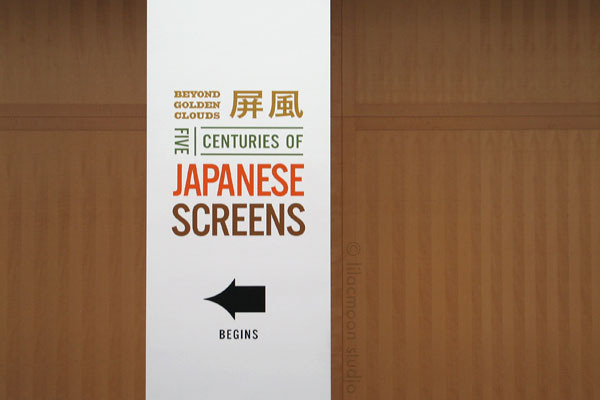 Beyond Golden Clouds: Five Centuries of Japanese Screens! Unfortunately, photography was not allowed inside, so I can't show you the actual screens but I can tell you about the design of the exhibit. I really liked all the signage. 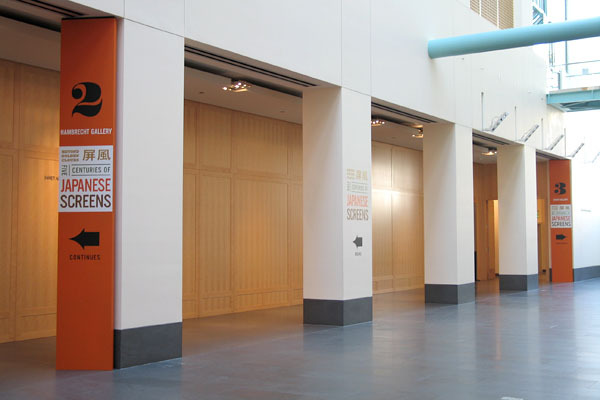 Clear, big signs to the three rooms into which the exhibit is divided. Is that Falstaff I see? I recommend you watch this video out in the hall before you start! It was about a restoration project headed by an expert in Japanese screens. Fascinating process. 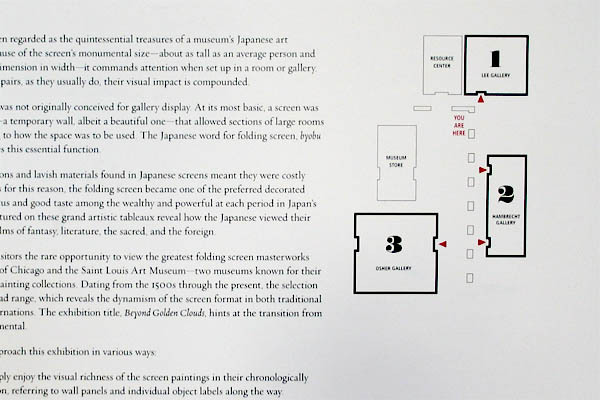 This is a diagram by the first room that shows you how the exhibit is laid out. Something a lot of museums fail to do. Near this diagram were big, laminated guides on how to appreciate the screens (digital versions found here). I usually skip these types of guides at museums but I'm glad I didn't at this exhibit. What was special about these guides was that they included little icons that correspond to different screen formats, materials used and subject matters to look out for. And when you walk around the exhibit, you found those icons next to each screen! Maybe this was all for kids but I thought it was really ingenious and helpful. It was like, duh! Why don't other museums do this? In the end, I left feeling very satisfied. Usually when I go to special exhibits, I leave feeling very tired and wondering if I missed anything. But this wasn't big at all, and thanks to that diagram, I knew exactly where to go and how much more to expect next. And the icons really saved me time. I didn't have to stand there, reading every description posted next to each piece. I do that at every museum. Long story short, it was a very well-designed, visitor-friendly, hyphen-inducing exhibit. As for the content of the exhibit, I really enjoyed it. There were some spectacular screens, one of which was only exhibited once before!